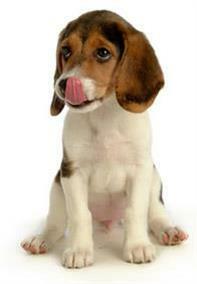 Want to try a different puppy food? It’s always best to start your puppy off on the food they’re used to – after all, their life has already changed a lot in a short time. But if you decide that you’d rather change to another brand, or from wet to dry (or vice versa) what’s the best way to go about it? Dogs are creatures of habit – especially on the inside. Once their digestive system has got used to a particular food, it needs time to adjust to something new. A sudden change can produce vomiting and diarrhoea. But while it’s not sensible to offer your puppy a different food every day, it’s sometimes unavoidable – for example, when they get older, they’ll need to switch onto an adult food. Changing gradually is the key. Each day, mix a little more of the new food into his meals, until, after about a week, the new food has completely replaced the old one.